With over 2 million people currently in the nation’s jails or prisons, the United States is the world leader in incarceration. 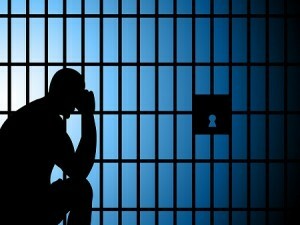 One of the main forms of punishment, incarceration is defined as the state of being confined in prison. This punishment is issued for the commission of felony and other offenses. State incarceration rates vary greatly, some states have much higher incarceration rates than others. The process of incarceration usually starts with arrest. This takes place when a person is put in police custody and cannot leave. There are a series of laws to be followed after an arrest, such as the reading of Miranda Rights to a suspect at the time of arrest. After arrest comes the booking process which involves fingerprinting and taking photos of the suspect. The suspect is asked for their personal information such as name, address, and date of birth. The waiting time between arrest and processing is mandated by law to be reasonable, not exceeding 24 hours. The police write a report, which is then delivered to the prosecuting attorney’s office where the charges to be filed are decided. Depending on the jurisdiction, the prosecutor has 48 to 72 to file charges. The suspect is then brought before a judge for arraignment, pleading guilty or not guilty to the charges. The judge then sets the bail or allows the prisoner to be released on their word to return. The option to release the prisoner on bail can be refused if the crime is serious. By the United States Constitution, citizens have the right to a speedy trial along with the right to face their accusers. When a defendant pleads not guilty, a time is set for a trial. If the defendant enters a guilty plea, a time is set for the decision to be made for sentencing. A trial entails both sides presenting evidence and witnesses to a jury or a judge, depending on the type of trial being held. A judge or jury deliberates on the guilt or innocence of the suspect and if convicted the suspect may be sent straight to jail to await sentencing or be released on bail until the time of sentencing. If a defendant is convicted, a sentence is determined at the appointed time and the defendant is placed in jail. Shorter sentences, such as those under one year, may be served locally in county jails, while longer sentences lead to incarceration in prisons. State incarceration rates will vary in both jail and prison numbers.